‘inconvenient’ facts. But they are facts, that just won’t go away. 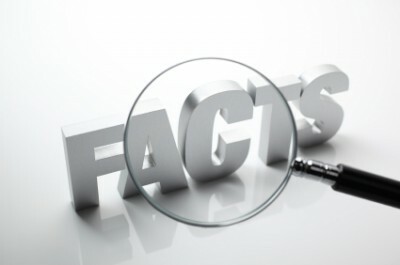 With Steven Cooper’s Cape Bridgewater study sending shock-waves through the wind industry around the world (see our posts here and here and here), the wind industry – always prickly when it comes to fronting up to “inconvenient” facts (see our post here) – is more defensive than ever. In Australia, one long-running “inconvenience” for the wind industry, is the situation popped up by David and Alida Mortimer. The Mortimers signed up with Babcock and Brown – which, after its 2009 collapse, phoenixed into Infigen – to host turbines on their property near Millicent in the South-East of South Australia, way back in 2003. Since the turbines kicked into gear in 2005, the Mortimers have suffered from a familiar list of turbine related adverse health effects, including sleep deprivation, head and ear pressure and a range of other sensations – of precisely the kind suffered by the subjects of Cooper’s study. One line spun by the wind industry, its parasites and the pseudo-scientists it engages to run cover for it, asserts that money salves all wounds – well, the Mortimers clearly don’t fit that model. All sorts of arguments have been put forward to discount, diminish, explain or otherwise spin away the Mortimer’s story. The Landlord may not conduct interviews with media organisations or other members of the public or issue press releases or other announcements unless the Tenant [Wind Developer] has first approved the content of the disclosure and has otherwise consented to the use of the Tenant’s name in association with that disclosure. That clause gives the developer a right to vet and veto any statement that the landholder may wish to make to the media or anybody else. That clause places no limit on the subject matter that the developer is entitled to prevent the landholder from discussing and that obviously empowers developers to prevent hosts from discussing adverse health effects with the media or members of the public, which means ANYONE. STT is aware of a number of major turbine host families – also from SA – who have spoken privately to Federal Coalition members about their dreadful experiences of living with incessant low-frequency turbine noise – constant sleep deprivation running for over 6 years in one case; and that same health problem running for over 4 years, in another. These long-suffering people are – behind the scenes – quietly tipping a bucket on the so-called “nocebo” nonsense; which, with the results of Steven Cooper’s Cape Bridgewater study firmly out of the bag, has finally been relegated to the annals of crack-pot “science”, along with the stuff pedalled by L Ron Hubbard about “Dianetics” and our ancestors’ lucky escape from the outer reaches of the cosmos, under the watchful eye of Lord Xenu. With the media seizing on Steven Cooper’s study, and its revelations about the known and obvious impacts of turbine generated low-frequency noise and infrasound, David Mortimer has also been, very much, a man of the media moment. Alan Jones spoke with David a week or so back (see our post here); and he put in a very solid effort on Sky News, when he was interviewed by Graham Richardson and Alan Jones, last Tuesday (27 January 2015). You can see the video by clicking here – scroll through to the 7:30 mark, where Alan Jones picks up on Steven Cooper’s Cape Bridgewater study. With so much interest in the Mortimer’s story, STT thinks it high time that you get to read it in David’s own words. David gave evidence to the Victorian Civil Appeals Tribunal (VCAT), back in February 2013. The case was an appeal by Infigen against the local Council’s refusal to approve its Cherry Tree wind farm proposal. So, David was not only giving evidence as something that – according to the wind industry and its spin-doctors doesn’t exist – he was giving evidence against the company he is contracted with. Here’s his statement of evidence. I am David Mortimer of 1251 Canunda Frontage Road, Millicent 5280, South Australia. I am 64 years of age. I am a retired Naval Electrical Engineering Officer and served with the Australian Navy from 1965 to 1988. I served in Vietnam during 1969-70. In my retirement I manufacture fibreglass goods at home. I also attend to my hobbies and maintain my home and grounds. My wife, Alida and I own a rural property near Millicent in South Australia. During 2003 we entered a contract with this developer (Babcock and Brown which became Infigen) by which we permitted it to erect 2 of its wind turbines on our land. In about September 2005, we returned from an overseas holiday in the UK, by which time the 2 turbines on our property, along with others forming the Lake Bonney windfarm, had been erected and commissioning had been commenced. My brother, John Campbell Mortimer, hosts 2 turbines on his property which adjoins our farm. He is not a wind farm resident and has no issue with turbines. The 2 turbines we are hosting on our land are approximately 750 m from the original farmhouse on our property (“the old farmhouse”), where we were living at the time of first operation of the Lake Bonney 1 wind farm. Around that time we had commenced building a new house on another of our properties, so we did not spend much time living in the old farmhouse, sleeping there from time to time during the construction of a new farmhouse. We had always planned to build the new farmhouse, hoping to have it completed sometime in 2013 which is the year of my 65th birthday at which time I had planned to retire, but because of the noise being created at the old farmhouse by the turbines on our land and the other turbines nearby we decided to bring forward our plans to build the new farmhouse. Whenever we spent time at the old farmhouse the turbine noise there was quite pronounced and annoying. However, as I have said we did not spend a great deal of time at the old farmhouse once the turbines started operating. The new farmhouse is located on the northern end of the windfarm approximately 2.5 km from the nearest turbines which are situated on land belonging to our neighbours. These neighbours are not wind farm residents. There are 4 turbines in that cluster; the next cluster of 4 turbines are around 5km away, including the 2 close to the old farmhouse. There are 46 turbines altogether in the windfarm next to us. The turbines we host and near us are relatively small by modern standards being 1.75MW Vestas turbines with 33 m blades on 70 m towers. The Vestas V112s proposed by the developer for the Cherry Tree Range have almost double the capacity at 3MW, sit on 90-100 m towers and have 56 m blades. We moved into the new farmhouse on 29 September 2006. As I have said the new farmhouse is approximately 2.5 km from the nearest turbines. It has a brick exterior with stone interior walls, sits on a concrete slab; it is well insulated and has a corrugated iron roof. From the time we moved into the new farmhouse we started experiencing symptoms and sensations which we now believe are due to turbine noise impacts and which increased in severity over the next 12 months or so. At the new farmhouse the character and level of the noise from the turbines varies depending upon wind speed and to a degree, direction. I describe the noise that comes from the turbines variously as a resonant drumming, thumping and a low whooshing sound. In addition to the audible noise, I experience a pulsating pressure in my skull, particularly in the base of the skull. During our first 12 months living at the new farmhouse I developed tinnitus and apparent irregular heartbeat. I had never had any prior heart trouble and I consulted our GP several times about it. He found nothing wrong with me. Whenever we are staying at the new farmhouse and the turbines are operating I have trouble getting to sleep at night. Frequently, I wake up in the morning feeling desperately tired, as though I have not slept at all. Often I simply fall asleep from exhaustion but still wake up tired. On numerous occasions I experience a deep, drumming, rumbling sensation in the skull behind my ears which is like pressure and often a pulsating, squeezing sensation at the base of my skull. I also experience irregular heartbeat while I am trying to sleep and while I am relaxing (sitting or reclining) in our house. I did not have any trouble sleeping before the turbines started operating. While trying to sleep at the new farmhouse I have used earmuffs (of the kind I use on the tractor) and earplugs, but these do not help me get to sleep and do not change the pressure pulse and drumming sensations that I get in my head. Quite often when I sit down to relax in the new farmhouse (when the turbines are operating) I experience the same pulsing sensation and also experience irregular heart rhythm. I find it impossible to relax in that house and I feel a strong sense of anxiety because of changes to my heart rhythm and the pressure sensation in my head. The trouble I have had trying to sleep in the new farmhouse; the pressure pulse sensations and irregular heart rhythm make me anxious every time I try to sleep or stay in that house. After about a year of being deprived of sleep and the other annoying sensations, I experienced bouts of depression in which I wanted to go to sleep and not wake up. I simply wanted to sleep and stay asleep. The pressure pulsing sensation I have talked about is sometimes like a kind of headache without pain; and at other times it is accompanied by sharp head pains. I did not have any problems with these headaches before the turbines started operating nearby. My wife, Alida began suffering dizzy spells about three years ago and she also now complains about pulsing and pressure sensations in her head when we are home. Both of us have sought medical advice about our symptoms and sensations. We have both had ECGs carried out to investigate my wife’s dizzy spells and my irregular heartbeat. The ECG showed that there were no underlying issues with our health to explain the sensations we both experience when we are at the new farmhouse. The ECG did, however, show that I have a relatively slow resting heart rate. Our experience of life whenever we are living at the new farmhouse (as described above) contrasts with our experience whenever we leave that home and sleep anywhere else. Away from that home, I have not ever experienced problems with my heartbeat or with the pressure pulse sensation in my head; and I sleep incredibly well by comparison. My tinnitus comes and goes when I am away from home, but whenever I am living at the new farmhouse it is a constant source of irritation when the turbines are running. Alida does not complain of dizzy spells or head pressure when we are away from home. As an example, I recently spent a few days and nights with relatives in Adelaide and slept brilliantly, even though their home is right on Brighton Road, Seacliff Park, which is one of Adelaide’s busiest arterial roads. Even though the traffic was heavy until late at night I enjoyed the best sleep I have had in weeks and did not experience any trouble with my heartbeat or suffer any headaches or head pressure, in fact, the “silence” inside my head was profound. I have reached the conclusion that the wind turbines operating 2.5 km away are the most likely cause of the sensations suffered by me and my wife (sleep deprivation, the head pressure pulsations, irregular heart rhythm and, in my wife’s case, dizzy spells). I honestly believe that these problems are the direct result of wind turbine generated noise, particularly low frequency noise, and regular air pressure variations caused by the turbine blades. We had not had any acoustic survey done at the new farmhouse until recently. During December 2012 and early January 2013 we have had experienced independent acoustic expert, Les Huson carry out a detailed acoustic survey at the new farmhouse. The data gathered by Mr Huson has been taken away to be analysed. When the data recordings were being collected, Mr Huson took some further readings and showed me a graph on a computer which was taking recordings of the noise generated by the turbines at the time, in real time. Mr Huson pointed out in that graph high levels of low frequency noise which, I understood from the patterns shown in the graph, were consistent with those being produced by the turbines. I could see the data shown in the graph had a regular, rhythmic pattern in the low infra sound range. We are very keen to learn the results of the acoustic survey carried out by Mr Huson. We believe that as a result of wind turbine noise, both audible and inaudible, that the new farmhouse is unliveable and, as such, we will probably be unable to sell it to anyone. Even if we are able to sell it, the sale will be at a substantial discount to its market value; that is the value it would have without turbines operating nearby. The 4Ha block on which our home is built, has no primary production value, only the value attributed to its peace and tranquillity and panoramic views. As I have said, we are in a contractual relationship with the developer in this case (Infigen) by which we receive significant annual income from hosting 2 turbines for it on our property. My brother is also in a contractual relationship with Infigen. Our contract does not contain any of the “gag type” clauses which I have seen in more modern wind farm contracts with landholders, so I am happy to speak about our experience and give evidence in these proceedings. What the wind industry fears most. What a shock, Similar to the issues my family and I are having. How can any credible authority continue telling us this is not true? What do we need to do? Mike, our political betters will not act unless you and those with you “storm the Bastille”. Getting the gullible who have been duped by wind industry rent-seekers and the baggage train of parasites to understand what is really going on takes effort. STT suggests you use these pages to educate your local, state and federal decision makers (as well as ‘fence sitters” in your community). Agitate, harass and shame them into action. Keep fighting, we will win this. Thank you from the many who are suffering in the way you describe. The Facts are coming! I know David and Alida and count them as friends. They are wonderful, honest people who are prepared to stand up. Thank you to David and Alida for your persistence and integrity and “telling it like it is”. Whilst inside David and Alida’s home, hubby experienced the wave-like sensation of the blade rotation passing through his chest, much like an interference signal on the TV set. Most disturbing! We are just receivers picking up the frequencies that we are sensitive to – in this case sensing the low frequency pulsing vibrations from the turbines. It shouldn’t be “rocket science” as effects of LFN have been known for years. And…right on cue, up pops, from Ketan Joshi on the Infigen website, what is arguably the most trivial BS we’ve read on what has become, around the world, such a serious concern. 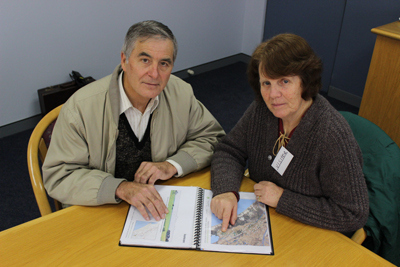 On 14 March 2013, I accompanied David and Alida to a meeting with the SA EPA . The Mortimers told their story to two senior officers of the SA EPA : the Director of Science and Assessment and the Air and Noise Manager. The Mortimers then asked the EPA to conduct measurements of the sound energy levels in their home as they found it unbearable at times and frequently had to go away in order to recover. The SA EPA declined the invitation. The SA EPA are corrupted, pure and simple. They colluded with the wind industry in setting up the wind farm noise regulations, and they have been covering their tracks ever since. They are about to find out that crime does not pay. A voice from the wilderness, a voice we all are grateful to hear. A voice Infigen and other wind energy companies are desperate to stop, to ridicule to insult, but a voice that will not be silenced. Obviously if there were no problems the industry would not need such clauses and would now release ‘hosts’ from them and allow them to speak out freely of their ‘non existent’ or ‘nocebo’ induced conditions which cause them so much pain they no not live a normal life anymore, a life every one has a right to, a life free of danger, free of pain and free to live where they used to love to live. To David and Alida, Thank you for your courage and integrity.